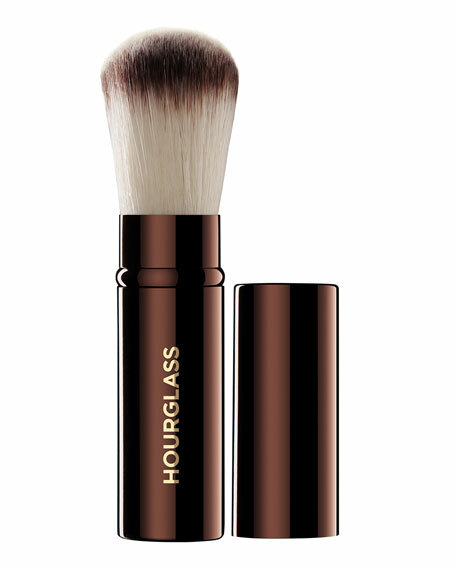 The Hourglass Retractable Foundation Brush is a portable version of the No. 2 Foundation/Blush Brush. A travel-friendly retractable brush for applying foundation, blush and highlighters. Weighted metal handles provide control for easier blending and application. Brushes may be used wet or dry.